The City of Bella Vista is excited to announce today a new trail system of about 50 miles coming to the central part of the city, nearly doubling the city’s trail mileage. Bella Vista is currently home to two soft-surface trail systems, including Blowing Springs and the Back 40 — natural-surface, multi-use systems for beginner, intermediate and advanced users. Construction for the new system is to be funded by a $3.9 million Walton Family Foundation grant recommended by Steuart Walton and Tom Walton. The grant to the city also includes funding for maintenance costs, which are split between the city and the Bella Vista Village Property Owners Association, for two years. “This is a huge milestone for Bella Vista, as our city will soon be home to 100 miles of world-class trails for mountain bikers, hikers, runners, birding enthusiasts, nature lovers and more,” said Mayor Peter Christie. The Back 40 Trails — 40 miles of natural-surface trails constructed in 2016 — were also funded by a $3 million grant from the Walton Family Foundation to the NWA Trailblazers, a local nonprofit organization that has been part of the effort to develop multi-use and soft-surface trails in Northwest Arkansas for more than two decades. “It is wonderful to be a part of such a region where trails connect and spread through every city so all can enjoy the distinct aspects each has to offer, and we are grateful to the Walton Family Foundation for providing a means to continue our effort to enhance the quality of life here,” Christie said. There are nearly 250 miles of natural-surface trails in Northwest Arkansas. Once complete, the new Bella Vista trail system will increase the total number of natural-surface trails in the region by more than 20 percent. 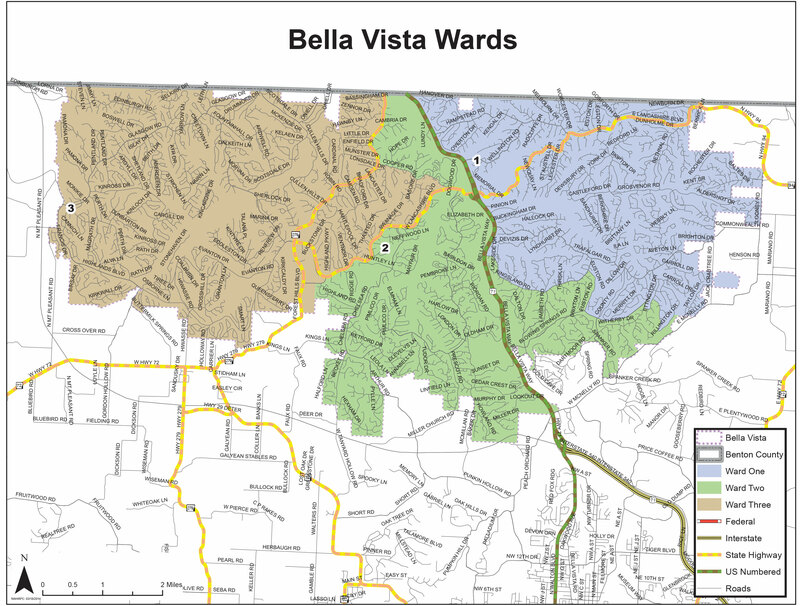 Construction is set to begin this fall, after the Bella Vista City Council voted Monday night to approve the land use agreement with the POA. The project is expected to be complete by late 2019. See a concept map of the trails here.